for $249,900 with 3 bedrooms and 3 full baths. This 2,170 square foot home was built in 2008 on a lot size of 6.71 Acre(s). 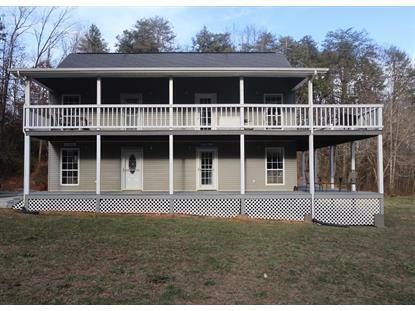 Enjoy country living with this 3BR 3BA 2Story home on 6.7 acres. Home has septic system rated for 3BR but includes 3 more rooms with closets that could be used for bonus room, play room or your home office! Recently updated bamboo floor on main level and new tile floor in kitchen. Also very spacious attic for extra storage. Includes wrap around porch both upstairs and downstairs for great outdoor living & enjoy watching wildlife such as deer and turkey! Very spacious MBR suite with jetted tub, walk-in closet, & enough room for a sitting area! Large level yard with 2 sheds, outdoor play area/playhouse great for children, along with a 25X25 concrete patio for outdoor grill and patio area. All this in a country setting yet minutes from downtown for shopping convenience. MOTIVATED SELLERS!